I have read some great books about the history of our region, Tom Morimoto's Breaking Trail, Irwin Huberman's The Place We Call Home, and LACO Hunt's Rebels, Rascals and Rogues among them. Blair Jean's Clearwater Memoirs has been my bedtime reading companion for the past couple of weeks and will get permanently added to the Fort McMurray section of our bookshelf; it is truly special. It is hard to picture life in the small-town-where-everybody-knows-your-name version of Fort McMurray. But because Blair was here through that transition, from what this place was to what it is today, he seems to do the best job of bridging the two worlds. Blair came to Fort McMurray as a young child and quickly discovered a lifestyle that suited his independent, adventurous spirit. He became an avid hunter and trapper; over time he grow deeply familiar with, and fond of, the people, places and stories of the Clearwater River valley. He describes great adventures in the pristine wilderness of this historic area of Alberta: snow machines breaking down in the middle of nowhere, close encounters with bears, clearing trail, and building an innovative "safe house" in the middle of the bush, to name but a few. 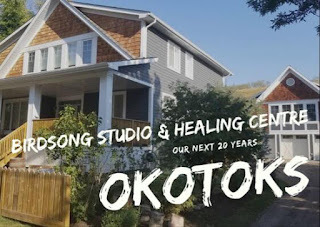 He talks about the role of float planes, relying on neighbours, and the wisdom of elders. 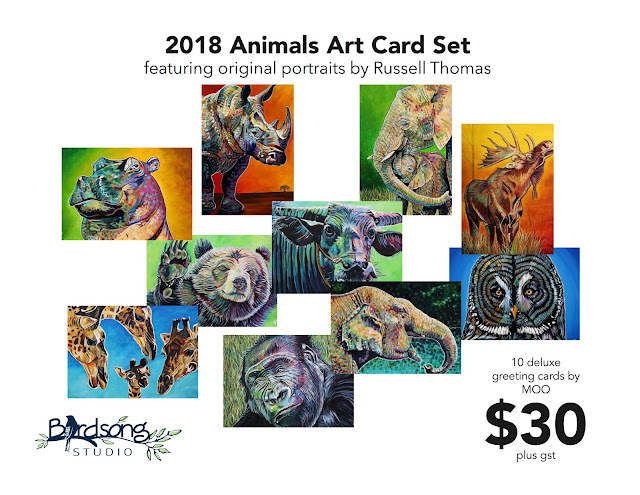 Most importantly, Blair captures the indomitable spirit that was commonplace with the amazing pioneers who lived the traditional hunting and trapping life along the Clearwater. 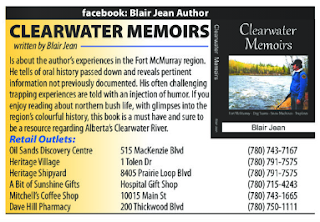 Blair loved life in the bush, complete with its adventures and misadventures; they are both well represented in Clearwater Memoirs, available in a number of different locations in town that I'll share via an ad that is running in Connect Weekly. 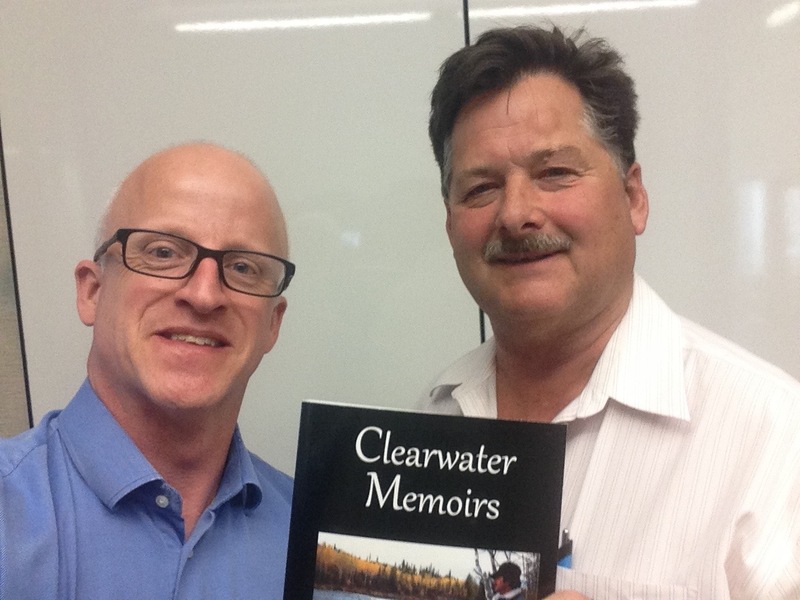 It was a great pleasure to meet Blair in person during his recent launch event at the Wood Buffalo Regional Library. He is a genuine person who is doing a great thing in his retirement: capturing the rich and important history of our region. I would strongly recommend that you pick up a copy of Clearwater Memoirs; it is an entrancing window to a past that deserves to be understood and appreciated by the present.